Half-day excursion from Paris to the house and beautiful gardens of the most famous Impressionist painter, Claude Monet, in the company of an official guide. Experience the world of this supremely talented artist, famed for his landscape paintings, including "The Water Lilies,” "The Japanese Bridge" and "The Irises.” Admire the fairy-tale water lily pond, with its play of light and colors, as well as Monet's legendary Japanese bridge. Learn about the painter's daily life by visiting his home and studio. Inspired by color variations and gardening, he designed his flower garden, fruit trees and water garden as if they were one of his paintings. During your visit, stroll along the path leading up to the house, bordered by varieties of nasturtiums and roses, and take in the multicolored flower beds and their tulips, irises, narcissi and peonies. Follow your guide through the Clos Normand, a flower garden with numerous plants from the East, until you reach the exquisite water garden, famous for its water lilies, weeping willows and green-painted Japanese bridge. Be captivated by the atmosphere and the play of light over the pond, made so famous by Monet's paintings. 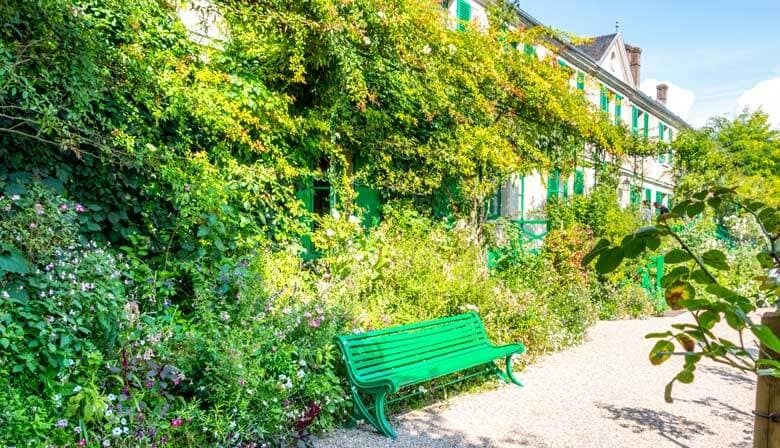 After your visit, make the most of your free time and visit Giverny's Impressionisms Museum, dedicated to the Impressionist movement in France and abroad. You can also enjoy the village and the charming gift and book shop, housed in what was once the Water Lilies studio. It covers more than 3,200 square feet and offers a wide range of gifts linked to the art of Claude Monet. Any visitor in Paris should also have a look at the French countryside. The best way to do so is to visit Monet's famous garden. Before you get to Giverny, you see the first rolling hills of Normandy and I like to show the villages on the way. I like to explain why and how Claude Monet decided to create the Waterlilies Pond, what it meant to him, how he lived at Giverny the second half of his life. Whatever the month, whatever the weather, my visitors always come back with a wide open smile on their face. Loved the ease of being picked up at the hotel, nice minvan, likable gentlemanly driver. However if commentary on Monet was supposed to be part of the ride out his English was a struggle for him. Giverny is well worth your time. This tour made it so easy by being picked up and returned to our hotel. While driving to the gardens our guide told us a biography of Monet. Also pointing out places where he had lived and giving little histories of these places. The guide was exceptional, knowledgeable, thoughtful and considerate. Would definitely book another tour. We thoroughly enjoyed our visit to Giverny. I am glad I didn’t try this on my own. Danielle made the visit very pleasant and informative.